Ozzy Osbourne is planning to perform a Halloween show in Las Vegas. The Belfast Telegraph reports Ozzy’s wife and manager, Sharon, has revealed a production is in the planning stages. Between solo projects and Black Sabbath, Ozzy is set to have a busy 2015. The rocker is planning to write and record a final album with Black Sabbath; this month will see filming begin on new episodes of the old MTV reality series, The Osbournes; he will headline the Monsters tour with Judas Priest and Motorhead starting in April; and host OzzFiesta, a 5-day event set for Mexico in May. Last fall, Ozzy released a pair of career-spanning “Memoirs Of A Madman” collections. 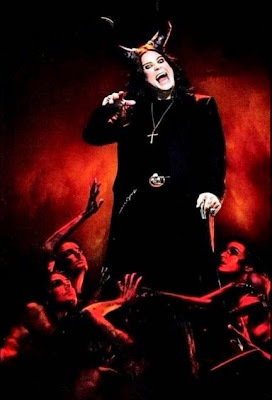 The CD features 17 of Ozzy's hit singles compiled in one place for the first time, while the 2-disc DVD presents classic music videos, unreleased and out-of-print live performances, and interviews from his solo career.